If you’re shopping around for surfacing material, you probably already know that few things say elegance like marble. Dekton by Cosentino introduces five striking new colors that highlight the beauty of natural stone as part of the Natural Collection. 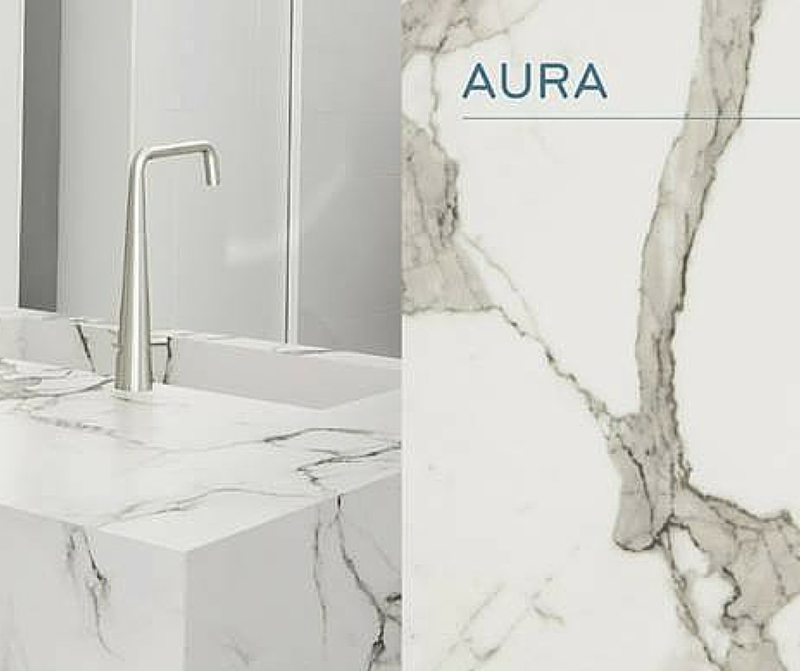 Aura replicates the elegance and beauty of Calacatta marble with large-scale veining for an impactful design statement. Aura provides a stunning option for those interested in the luxurious look of marble – a trend that has shown a recent strong resurgence in the U.S. market – without the maintenance issues typically associated with natural stone. Edora is uniform in color yet contains delicate, undulating textures offering a minimalist concept and a natural look. Its warm neutral tones are distinctly stylish and classic. 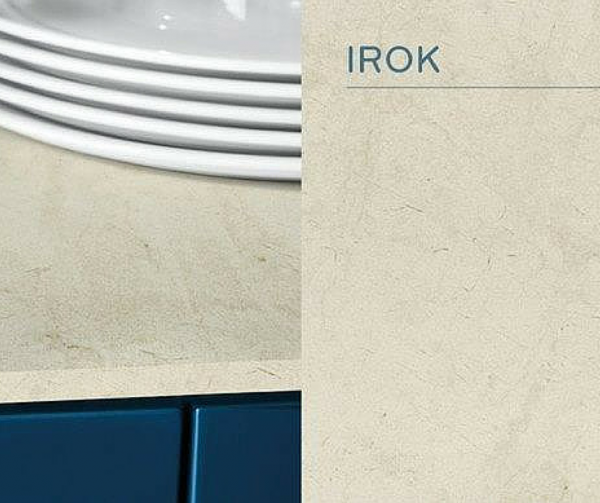 Thin, delicate veining gives Irok its unmistakable appearance. 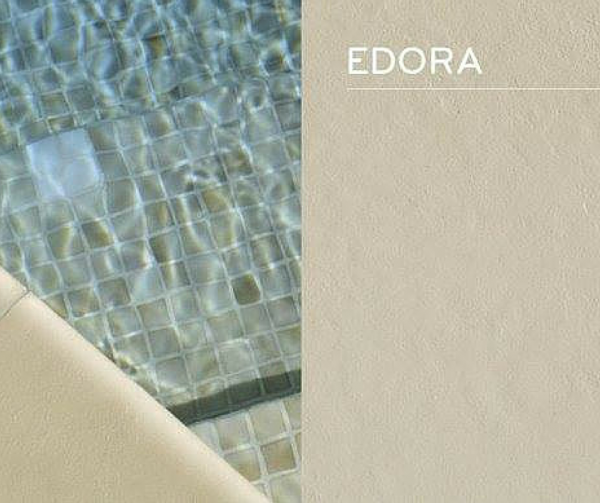 Its creamy tones and a subtle movement evoke the look of limestone, offering enduring beauty for myriad of applications. Another marble-like variant in the collection is Kairos, which offers a soft, white base striated with subtle, pale grey veining reminiscent of Italian Carrera marble. 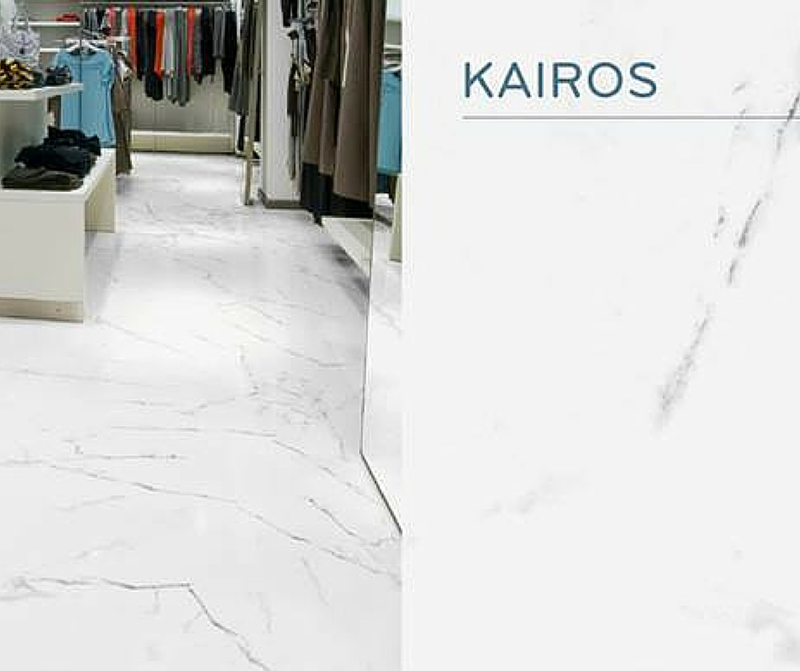 Its natural veining and milky appearance brings an elegant brightness for both classic and cutting-edge environments. 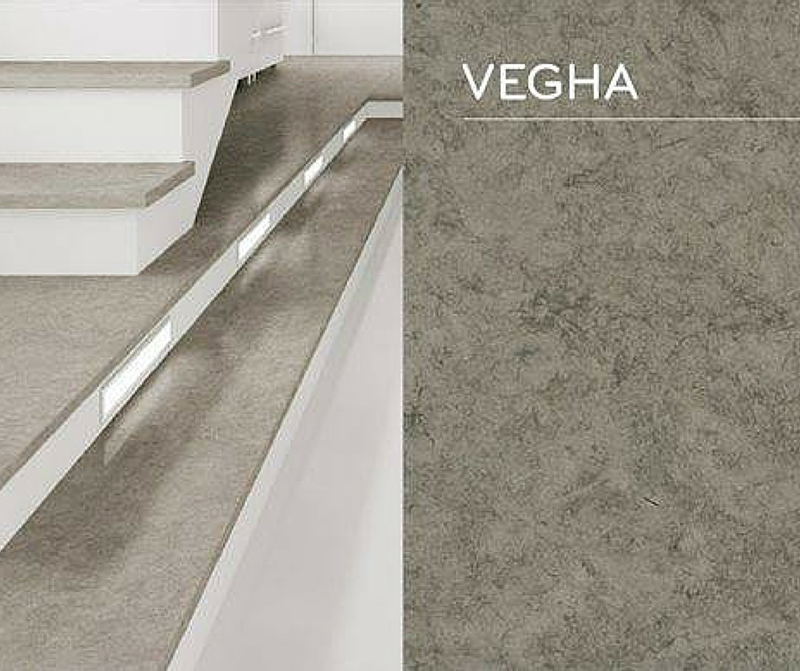 The stormy taupe of Vegha reveals a layered depth, which is impactful yet neutral. Inspired by the formations of limestone and sandstone, its innovative look is sophisticated and versatile enough for a variety of aesthetics. 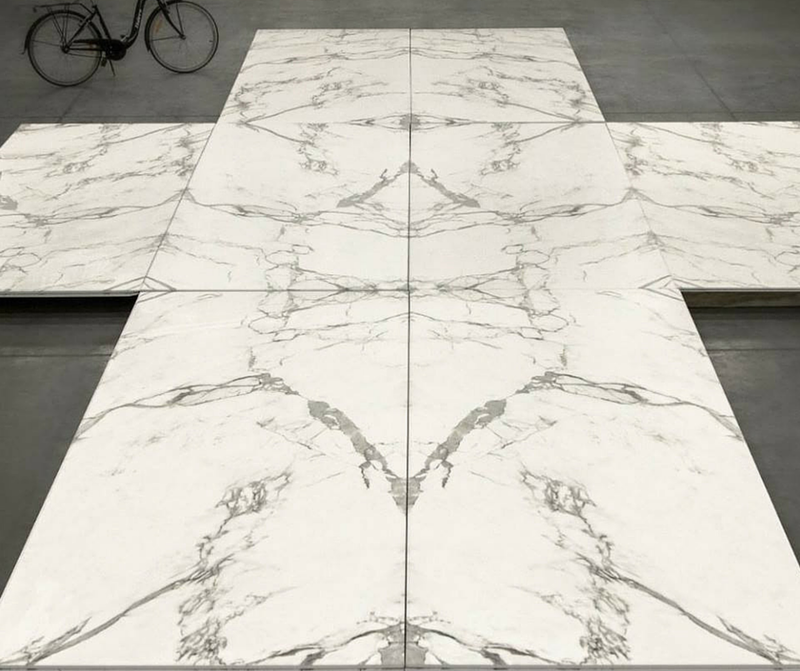 Dekton retails for $58-$96 per square foot, depending on thickness and color. Dekton is made using a proprietary process called Particle Sintering Technology (PST), which is an accelerated version of the change that rocks and stone undergo in nature when subjected to heat and pressure over thousands of years. Dekton has reduced this process to four hours with extreme heat and pressure resulting in an ultra-compact surface with superior technical characteristics. retail stores, restaurants, offices, hotels, or apartment complexes.